The latest iPhone 7 might not have been released yet, but surprisingly we have already found rumors for the iPhone 8 by watching what Apple has ordered. With this information and various leaks, we can get a fair idea of what to expect with the 2017 iPhone release. The new phone is expected to be one of the most impressive and also feature the biggest changes when it comes to design, features, and just about everything else since it would be iPhones 10th anniversary. The iPhone 7 has already made a huge impression with its leaks and what’s expected, but ultimately we don’t expect a major change when looking at the iPhone 6S. By the looks of it, the phone will have some minor tweaks that are sure to improve it and make it a lot more impressive, but the design itself remains about the same as it is now. The iPhone 8, however, is sure to impress on a whole new level. Many were hoping Apple will include a curved display with the iPhone 7, which doesn’t seem to be an optional all, but Apple has been working on curved screens and cases, meaning the iPhone 8 is sure to have a curve some kind. An almost oval design has been thought of, but we are expecting a similar design to the current Samsung S7 Edge. The iPhone 8 will also once again feature a glass back much like we saw on the earlier iPhone such as the 4 and 5. Apple will make this glass a lot stronger, and the back will also feature some kind of curve, which is sure to give the phone an amazing look. Apple is sure to change the home button, which will eliminate the need for so much wasted space below the screen. The button will become part of the screen and also feature 3D Touch. 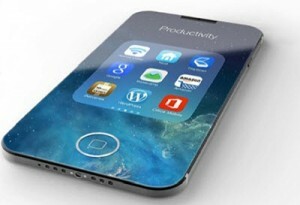 However, there are also rumors that the iPhone 7 will feature similar technology. The button will still feature 2 options, such as a soft press for home and hard press to see other open apps. It could also include more options such as shortcuts. Since the home button will no longer take up that much space, the company can include bigger screens. The 2017 and 2018 iPhone is expected to have a wider and longer screen, taking it up to 5.8 inches. This won’t make the device much bigger as less of the case will be shown, and the screen will be curved as mentioned above. The current 1920x1080p will also be upgraded to 1920x1310p. The best part about the display is that Apple has order OLED screen which has true black coloring. The screen has the ability to switch off some LED’s, which also saves battery life. The only reason they won’t be switching to OLED with the iPhone 7 is because these screens have a higher burnout rate, meaning they don’t last as long. Since the screen will be featured on the iPhone 8, it gives the technology time to become more refined. The iPhone 8 will also feature Gorilla glass 5, which is currently the most durable glass for a mobile phone. There have been many tests around this glass, and it’s been highly impressive. This will ensure your phone stays safe, and your display doesn’t scratch or crack for just anything. So far, the tests have shown that it can withstand drops onto concrete from 1.5m, which is way beyond anything of today. The gorilla glass 5 will also be featured on both the front and back of the phone. This is actually an aspect that Apple has been working on for a while. We might see some of it with the iPhone 7, but will definitely be perfected on the iPhone 8. There are 2 ways this could work, firstly, they could include an accessory that simply needs to place your phone and the device and it will charge without the need of a cable. However, the second option is the most impressive. Apple has been working on a similar concept as mentioned above but also includes charging while the device is near the device, but not actually touching. As we all know, Android is currently the biggest mobile platform in the world. The fact that Samsung devices use the software already makes it massive. This means the app developers need to be on their game and provide a huge range of apps that appear to various audiences. Nothing everyone is the same, meaning the same app won’t satisfy all users. We’ve seen a number of brilliant apps over the years, who only become more impressive as technology moves forward with devices. 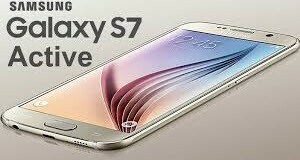 The new Samsung S7 and S7 Edge has already once again proven what possible, while the world wonders what could possibly be next. For the reasons mentioned above, we’ve taken the time to put together a list of apps we found most interesting for the month of July. These apps did not appear in any order but caught our eye for various reasons. Some of these apps might be useful to you, while others don’t provide any benefit. 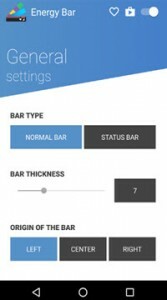 Energy Bar is a battery management app that provides various features and options, making it perfect for any users that want to keep track of their battery usage. The app displayed your current battery level above the notification bar in a thin blue line, which can be adjusted in various ways including the thickness, auto hide when watching videos, and set it to display segments arranged in colors. The app also includes battery information, buts its main feature is to show simply the battery bar, which is very useful. Glance Plus is an app that allows users to take advantage of the always on feature on the Samsung S7, which makes the screen come on when waving over the device. The app can be used on any Android device and have various settings that let you choose how long you need to signal before it will come on, you can decide what happens when it’s activated, and the wallpaper you prefer. There are many options to choose from, which appear on the screen when it’s activated. 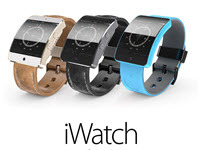 These include different clock styles, calendars, notifications, and much more. Unclouded is an app that puts all your cloud accounts into one app. This means you can see the files from them all, while also having access to the information of each, including space used and what’s remaining. 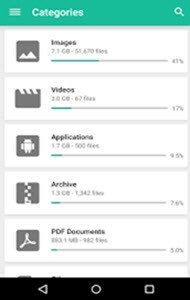 The app lets you take full control and also manage your files within it. This means you no longer need individual apps for each cloud platform used. You mobile memory is shown as well and making transfers between any cloud platforms to your device or memory card is easy and only takes a few seconds to update on both platforms. The app automatically categorizes all your photos, music, files, movies, videos, and everything else you might have, making it easy to find things and also see duplicates that can be removed. Various settings and options allow users to change certain aspects and making it more usable to each individual user. Hooks is an all in one reminder app for shows you want to watch. The app is connected to various guides, including cable, satellite, YouTube, and much more. This meaning if you want to look at a show a week from now, you can use the app to set a reminder. There are options to change when you are reminded, change sound settings, and much more. The app will include other related shows in a list below according to what you watch, making it quick and easy to select all your favorites and set reminders for them. The YouTube feature lets you choose the notification method, which ranges from live shows to being notified when a channel you’ve subscribed to has added new content. Furthermore, the app can also notify you of weather changes and warnings on specific areas or according to your current location. The apps above are some of our favorites found in the month of July. There are many others out there that might not have been discovered, but might come up next time. In mean time, enjoy these while we hunt down the latest and greatest for August. As we all know, there are millions of apps or there, which includes the old, the new, and the ones that were just forgotten. Apple users like keeping track of what’s new out there and get the latest additions for their devices, which is why we don’t only look for the most recent apps, but we also search deep and find the best ones, no matter how old they are. With that said, we won’t bring you outdated apps either, but those that are the best the world has to offer. Let’s dive right in and see what our team has found for the month of July 2016. These apps are not arraigned in any way, and are mostly random, but who knows, you might just find something that appeals to you, we certainly have. Ink Hunter is the perfect all for anyone who like a tattoo or those of you who might be an artist. The app is free and provides you with the ability to see what a tattoo would look like on your body. It requires users to draw a smiley face like imagine where they would like the tattoo, then select a tattoo you find interesting and simply point your camera at your arm. 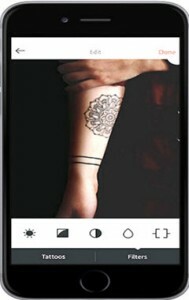 The app will automatically overlay the tattoo on the position of the “smiley face”, giving users a comprehensive perspective of what the actual tattoo would look like. We sound this to be an exciting addition to the Apple Store and could be quite fun when showing off your new “fake” tattoo or planning your next. WordFlow is a new addition to the app market for iPhone users and has managed to impress us from the moment we first opened it. I’ve sure many have heard around swipe typing, which allows you to swipe across buttons while typing, instead of tapping each button. WordFlow has taken it a step further and created a single hand keyboard with swipe type. This means you no longer need to use 2 hands to type fast, especially when using a bigger device like the iPhone 6S Plus. It comes with various themes and options that allow even more functions and usability. The app was created by Microsoft for all iPhone users and is 100% free. 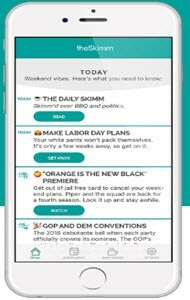 The Skimm is a news app that takes the world of information to a whole new level. This app doesn’t only feature the latest international news, but it also keeps you up to date on the sport you might be interested in. For example, the app can remind you when the next major Baseball game is coming or when tickets for a show you might be interested in will become available, making it a great addition to your world. It comes with a trial version, which is replaced by a monthly fee of $3, which isn’t cheap for an app, but if you always seem to forget the latest games and shows, it might just be exactly what you need. OUTDODGE is one of the newest games added to the market, which is one of those addictive games you simply can’t get enough of. It’s a very easy to play the game, and definitely has its challenges to players. Players are represented by a bat, and different balls come flying and bouncing towards you. You can either hit them or jump to avoid them as being touched by these balls without hitting them will result in the bat being damaged. The longer you stay alive, the harder it gets, making it the perfect arcade game to enjoy while waiting in line or just killing some time while waiting for friends. With so many apps out there, it’s impossible to keep up with all the latest offers, which is why we choose to find the best we can and bringing them straight to you. These 3 apps above is highly recommended and well worth a try as we rush off to find the best new apps for the month of August. Facebook is one of the biggest social media platforms in the world and has been around for years. There are many different uses for the service, which is still 100% free to use. With its massive user base, Facebook has not only become amazingly popular for businesses, but also for users who are marketing their own videos and vines. The Facebook market keeps growing on a daily basis with a new business opening, new members joining, and new apps and other servicing using it to advertise what they have. 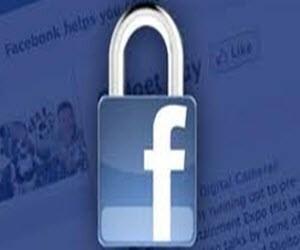 Facebook has been updated many times in the past and has managed to make their services a lot safer and user-friendly at the same time. The latest addition includes both features and security, which once again makes it more useable, enjoyable, and easier to connect with your friends. The most recent addition to Facebook Messenger provides encrypted messaging. Many of you might not know what this is, but it’s actually quite simple. This is the highest level of securing your messages at the moment. Those worried about someone spying on your chats or hacking your accounts will no longer need to worry about anyone but you seeing private messages. The encryption allows only 2 users to see the message. This means you and the person receiving the messages. The messages will only be displayed on one device, meaning a message sent from your phone will not appear on any other device that has access to your account, so logging into your PC to continue the chat will mean you need to send a new message to the person. The feature also includes timed messages, which will only me available to the recipient for the selected amount of time. This starts from just 10 seconds, but also includes much longer times, depending on your choice. Once the selected time has run out on the message, it will automatically be removed. With this new feature, not even Facebook will be able to access the chat or see its content. Live video broadcasting has become more popular on various social media platforms. Facebook now also provides the same feature and allows you to create live video that allows your friends or members from your page to watch you live. Currently, the feature is only available for iPhone users, but will soon be available on Android as well. To create a new live video, you can click on status update and hit the broadcast button at the bottom (person with 2 rings). Once selected, you can choose privacy settings that determine who are able to see the videos. These options start from the public but can be set to personal as well, meaning only you can see the video. The feature will send notifications to all that are allowed by the privacy settings, meaning they are able to join the live video. Those logged in will appear on your screen where they can comment. You will have the ability to read these while in live video, like the comment and even respond. Pokemon Go is the latest and greatest game that everyone seems to play worldwide. The game has attracted, young, old, Pokemon pros, and even those who are completely new to getting to know the different characters and what the game is all about. The game uses geolocation that provides a gaming opportunity like no other. Players get to actually catch Pokemon in the real world by using their smartphones or tablets. This means walking down the street could result in finding a unique Pokemon, which also makes it a game with some exercise benefits. The game has managed to break various records when it was released. Nintendo released the game only a few days ago and it has already managed to increase their stock by more than 50%, resulting in more than $10 billion in growth. 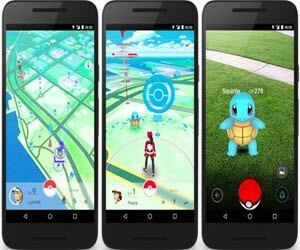 The company has released many games with Pokemon of which Pokemon Go is their biggest and most successful. The game is free from both the iOS store and Android. There are optional purchases within the game, but these are not required when you know where to go and get the things you need. So far, the only reason you would have a reason to spend money on the game is when you need Pokeballs or have run out of other supplies. However, as mentioned, there are other ways to get other these needs and find the things you need to level up and advance through the stages of the game. The best way to do this is to gather a group of players and create a level up party. Drive or walk to a destination where various Pokestops are available within a smallish area. These are common within shopping centers, busy parks, town squares, and even churches. Finding an area with as many of these locations would be ideal. To level up fast, gather all the items around the area, but also place a lure at least Pokestop. Catch the Pokemon that appears and watch as your points increase and get you closer to the next level. More Pokemon will react to these lures and a popular area, which is why we strongly recommend using this method to boost your points without taking a cent from your pocket. If you need other items such as Pokeballs or supplies, wait at the Pike stop after catching the Pokemon that appear. This will provide new supplies and Pokeballs once the Pokemon have been there. In busy areas, you will be able to repeat this feature and get everything you need. Choosing a location with many of these stops in a small area, allows you to move around and get different types of supplies. Using the method mentioned will not only ensure you level up a lot faster or that you will find some amazing Pokemon, it also ensures you get all the supplies you need within a short period of time. Doing this on a regular basis ensures that you always have everything you need to make the best of the game. Many of you reading the heading would wonder what’s happened to the idea of the Note 6. Well, you’re not alone. The company seems to have decided to skip the Note 6 and jump to the Note 7, which could be to get their Samsung Galaxy and Note launches to represent the same mobile (Galaxy S7 and Note 7). Samsung is expected to release the actual reason in New York on the 2nd of August this year, which is also where and when they will be releasing the latest Note 7 device. 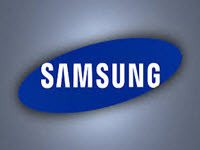 There are many possibilities for the latest device that we are sure will impress as Samsung has always managed to. The most reliable rumors include a number of impressive features, but as we all know, these could be included or simply not. However, here are the latest rumors we’ve heard about the phone. Firstly, the screen is expected to remain at the 5.7 inches is currently is. This was expected as a bigger screen, means a bigger phone that makes it a bit too big and more in line with a tablet. The current screen size is huge but is still perfect for a device that can be carried around and handled with one hand (if your hands are a bit bigger). Security feature will also definitely be upgraded and since the Note devices always outshine the Galaxy, we might just see the first Iris eye scanner security device. This means the phone would scan your eye to identify you and unlock the phone. There has been talk that the Note 7 might have the same curved screen as the S7 Edge. However, we aren’t sure this would actually happen as it would make the devices a bit too similar. 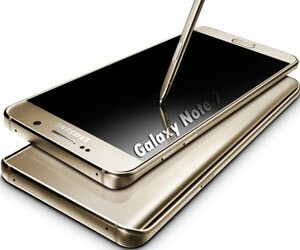 The Note has become popular as the business phone from Samsung as users have a stylus to navigate through the device and pin on very specific items around the screen. Another factor that comes into play with the Note 7 having a curved screen is how the stylus would be incorporated with the screen and what new options will be available. However, we doubt strongly that Samsung would only allow a screen size and stylus to be the differences between 2 of their latest devices. The phone is also expected to feature complete new software. Samsung has always used TouchWiz to keep their phones unique while also offering Android software and apps. The company might just get rid of TouchWiz all together and bring in a new form of software to once again make their phones completely unique, but could also present the same problems many users experienced with the earlier Note devices that presented issues and glitches with TouchWiz while it was new. As mentioned above, the phone will be presented for the first time at the New York Samsung Note 7 Unpack event. The phone will be available to the public later in August, which might not provide the company with the numbers they hope for as the iPhone 7 is due in September. Your phones camera is a powerful device that many simply use to snap a picture of something pretty or take a quick selfie. However, there are actually many incredible things your camera can do other than taking photos. In this article, we look at some of the most impressive features and abilities that you might not have known about. 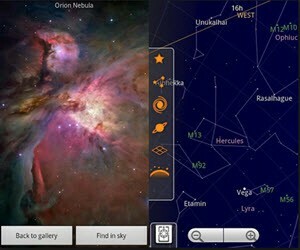 Sky Map is an app that will amaze you and your friends. The app tells you everything you need to know about the stars and where they are. Turning the app on and pointing it at the sky will show you the stars you see and provide information on them as your scan the sky above. The app also works during the day, allowing you to always learn more about what’s above you. Having an old iPhone, iPad, or iPod lying around could actually act as a security camera that will alert you, and allow you to see the video live. The best part is, this app is free. Simply download the ManyThing app and install it on both your old and new iPhone. Set up to old iPhone as to how you want the device to react and it will notify you on your current device. The phone can be used to pick up motion and record for a certain amount of time, users can view what the camera sees at any time, or it can be used to control devices. Such as a lamp turning on when the camera picks up motion. PhotoMath is one of the most incredible apps that can help you solve any math problem. The app simply requires a photo of the problem, which will result in it showing you the answer, but also how to get to the answer. This is a great app to use when kids need help with homework and you’ve forgotten everything you have learned in school or when you need to solve a few things, but don’t have the time to sit and work out things the way you learned in school. The app is easy to use, and amazingly accurate. 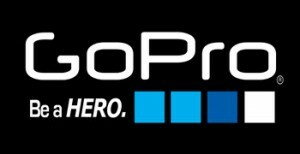 GoPro is one of the world most popular recording devices that can be used many ways. Some simply use the GoPro as a recording device while driving, while others take advantage of the durability it offers by taking it on extreme sporting adventures to record every move. These cameras can also be attached to drones that record you from a birds eye view, offering a whole new way of seeing yourself in action. The latest update on the GoPro, has allows the Apple iWatch to connect to the device allowing users to use it as a remote. However, there are many additional features that become available with the device, including the ability to control a drone while getting the best view on all the action. The app update has only recently become available, which allows users to connect to the Wi-Fi-equipped GoPro with their iWatch devices. The app will provide all the features you require to stop recording, start recording, ad a video bookmark, and much more. All this can be done from the lock screen on the iWatch, giving users quick access to make changes to start a new video. The watch can be used as a viewfinder as well. Before hitting the record button, look at the screen to see what the GoPro camera would record. 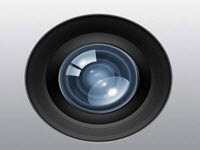 This allows users to adjust the angle, make needed changes to the camera, and much more before recording. The app has been updated to allow users the ability to scroll through content on the GoPro, copy files over to the watch, view videos, pictures, and more straight from the iWatch. This makes it easy to quickly check how the last trick looked and how it can be improved. With these new features and options, you no longer have to hold the GoPro on you to get the best shot. Simply place it somewhere to get the best shot and use the watch to see what it has captured. The technology is expected to become more user-friendly and offer more features as both the iWatch, the apps, and GoPro devices are developed. The latest release from Samsung has managed to impress with its new features and abilities. The fact that they have finally managed to provide the first waterproof Samsung blew everyone one away, even before it was released. However, there have been multiple tests on the device that suggests it might not be quite as waterproof as Samsung has made it out to be. Youtube are full of these tests that compare how well phones do underwater, drop tests, and even some tests that are completely useless such as freezing the phones or dropping them in boiling water. The new S7 Active is now available to customers around the world, meaning the testing has begun and a few issues have come to light. Firstly, the S7 and S7 Edge seem to actually hold up to the waterproof statement. The phone easily stays in water for over 15 minutes and still comes out working perfectly. However, there have been some reports that the speaker gets damaged and doesn’t seem to provide the same volume quality as before, even after it has dried out for a day or so. The S7 Active has the same waterproof rating as the S7 and S7 Edge which is IP68. With a rating this high, the device should be able to handle 5 feet of water for around 30 minutes, which both the normal S7 devices passed. However, with the same test, 2 S7 Active devices have failed. It’s understandable that 30 minutes in water might not happen all the time, but the rating of IP68 suggests that the phone will be able to handle it. Evidently, the S7 and S7 Edge has managed to pass these tests, but the S7 Active with the same rating hasn’t. This shouldn’t be a reason to not buy the S7 Active as water damage will be covered under the warrant. However, if you drop the phone in the water and forget about it for 30 minutes or more, the worst it can result in, is waiting for the phone while it gets fixed. Smartphones and tablets have become popular with all people, including kids. These devices might not be used to communicate with other people, but rather to learn and play educational games that develop their minds. There are many apps that provide different gaming options for both girls and boys, which includes various themes, game styles, and learning opportunities. The following list will provide the some of the most popular games for kids, which can be downloaded on multiple devices including iOS and Android. These can be played on both smartphones and tablets, making it easy for kids to enjoy at any time. Animal pants for a great app for toddlers. The app will provide various animals where kids need to choose the correct pants and feet for the animal. There are 12 different types of animals and the background will feature where these animals live. The app is available in multiple languages and will assist in early development in literacy. 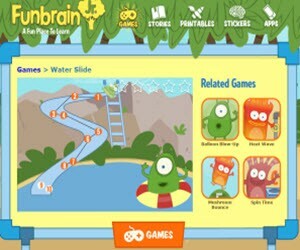 Funbrain Jr. provides various games opportunities that will enhance education for all pre-schoolers. The app comes with basic learning methods but can also educate on a higher level and kids progress. From numbers to learning alphabet can be achieved with this app. The games include bright colors and fun games such as popping the bubble with the most numbers or build alphabetical pipes to fill the pool shown on the screen. The app will assist where needed, but also provide kids with advancements in these areas. This is a great game to use when kids are learning what each letter looks like. The app will enhance learning on a pre-school level, but also in earn years of school. The app shows the letters and provides various games that will help kids remember the letters, their sound, and what words they are used in. A puzzle game has also been included where kids get to put these letters together and have fun while learning. The app can be purchased for a low price of just $3.99 from the app store for both Android and iOS.